Peter T. Paul is one of the first five alumni that will be inducted into the Entrepreneur Hall of Fame at an awards ceremony Thursday, Oct. 4, 2018, as part of the annual innovators dinner that celebrates the intellectual property achievement of UNH faculty, staff and students. DURHAM, N.H.—The University of New Hampshire will induct the first five alumni into its Entrepreneur Hall of Fame at an awards ceremony Thursday, Oct. 4, 2018, as part of the annual innovators dinner that celebrates the intellectual property achievement of UNH faculty, staff and students. Katie Bouton ’96 is founder & CEO of Koya Leadership Partners, a nationally recognized executive search firm is dedicated to placing exceptionally talented leaders at mission-driven organizations and institutions of higher education. In 2018, Koya was named number 14 on Forbes’ “America’s Best Executive Recruiting Firms,” the Inc. 5000 List of Fastest Growing Private Businesses, and the Boston Business Journal’s Fast 50 Award. With a strong commitment to civic and women’s leadership, Katie serves on numerous boards and is a fellow at Pipeline Angels, a network of new and seasoned women investors that is changing the face of angel investing and creating capital for women social entrepreneurs. M. Christine “Chris” Dwyer G’72 is co-owner of RMC Research Corporation, a national firm engaged in research and consultation in areas related to the well-being of families, children, and communities. 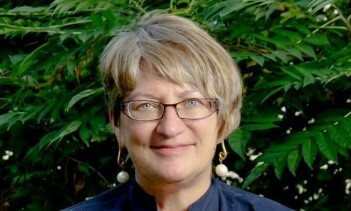 She spent a decade developing media and print tools for evidence-based strategies in reading and mathematics and two decades providing technical assistance for the federal government and state agencies in the implementation of family literacy programs. 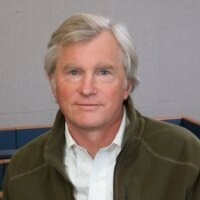 Chris' work as a Portsmouth city councilor, founding board member of the Portsmouth Music Hall, former chair of the New Hampshire State Council on the Arts, trustee of the Currier Museum of Art, board member of the UNH Foundation, New Hampshire Business Committee for the Arts, and the New Hampshire Center for Nonprofits have all made these organizations stronger and more relevant. Peter T. Paul ’67 is the chairman of Headlands Asset Management LLC, an investment management company he founded in 2008. He is also the owner of West Biofuels, a research and development venture, and Peter Paul Wines. He is chairman of The Headlands Foundation, a nonprofit organization he founded in 1995. In 1986, Peter founded Headlands Mortgage Company, which became one of the premier wholesale lending institutions in the country, specializing in originating, selling, securitizing and servicing residential mortgage loans. After leading Headlands through a successful IPO he negotiated its merger with GreenPoint Financial in 1999. He received the Pettee Medal, in 2009, from the University of New Hampshire Alumni Association. In 2017, he received the Hubbard Award. Peter has been an important philanthropist, providing more than $40 million to the university. 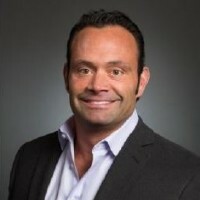 Chris Rondeau ’94 worked at Planet Fitness for 25 years and was elevated to CEO in 2013 after working his way through the ranks and being named one of the initial partners of the company. Planet Fitness is a franchising powerhouse with more than 12 million members and over 1,600 locations in the U.S., Puerto Rico, Canada, Dominican Republic, Panama, and Mexico. The company successfully completed its initial public offering in August 2015 under his leadership. Chris’ passion for giving back to the community evolved into the creation of the company’s national philanthropic initiative, The Judgement Free Generation, aimed at combating the judgement and bullying faced by today’s teens by creating a culture of kindness and encouragement. David Shaw ’73 is managing partner of Black Point Group. 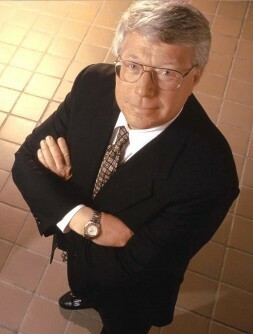 He founded IDEXX Laboratories in 1984 and served as CEO and chair until 2002. IDEXX is a publicly-traded leading animal health diagnostics company with revenues of $2 billion. David co-founded Vets First Choice in 2010 and serves as chair. He is also the founding CEO and chair of Ikaria Holdings, a human pharmaceutical company. David served as chair of The Jackson Laboratory (ME), treasurer of the American Association for the Advancement of Sciences, and trustee of the National Parks Foundation, among others. Among his notable work is a leadership role in the US National Park Centennial and in protecting the Earth’s high seas for conservation, via the Sargasso Sea Alliance and the ongoing Aspen High Seas Initiative. Selection for the UNH Alumni Entrepreneur Hall of Fame is based upon alumni who (a) have achieved entrepreneurial success with ventures as a founder, co-founder, or owner, and (b) have given back to the community in a meaningful way. The definition of “ventures” includes economic or social value in for-profit and non-profit entities. The Peter T. Paul Entrepreneurship Center (ECenter) is the co-curricular heart of ideas, innovation, and entrepreneurship at UNH. Its goal is to create the next generation of leaders with an entrepreneurial mind-set who can see opportunities and identify creative solutions others have missed, one idea at a time. The ECenter delivers unique hands-on experiential programming that inspires, nurtures and mentors students from any major, at every step of process, anywhere from idea development to company creation.